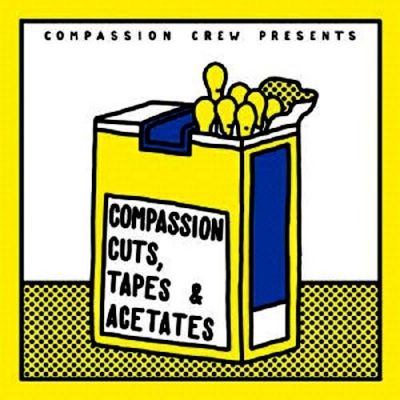 "Compassion Cuts Tapes & Acetates"
Great and very superios compilation.Wide range of entertaining and wonderful Music.This double fits both the DJ and the home listener.Reccomended! !Compiled by Compassion Crew. Out on 2x12” gatefold LP in a laminate gloss finish. Restored and mastered by Thomas P Heckmann. Lacquer cut by Andreas at Schnittstelle. Artwork by Simon Landrein. ..